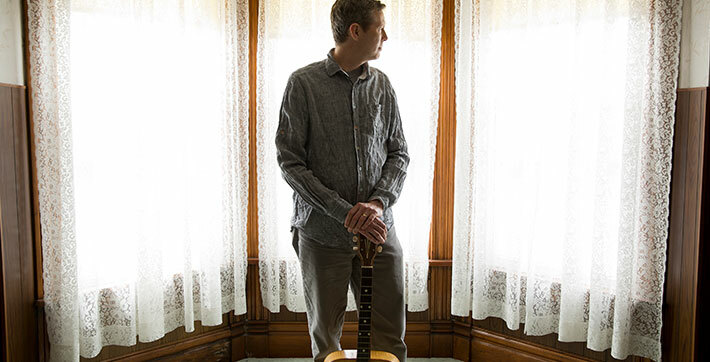 Robbie Fulks is a singer, recording artist, instrumentalist, composer and songwriter. His most recent release, 2017’s Upland Stories, earned year’s-best recognition from National Public Radio and Rolling Stone among many others, as well as two Grammy® nominations for folk album and American roots song. His early solo work, Country Love Songs (1996) and South Mouth (1997), helped define the “alt country” movement of the 1990s. Fulks has appeared on Austin City Limits, Late Night with Conan O’Brien, Later with Carson Daly, Today and 30 Rock. Artists who have covered his songs include Andrew Bird, Sam Bush, John Cowan, Rosie Flores, Kelly Hogan, Mollie O’Brien and Old 97s. He has accompanied the Irish fiddle master Liz Carroll, the distinguished jazz violinist Jenny Scheinman and the New Orleans legend Dr. John, and his producer credits include Touch My Heart: A Tribute to Johnny Paycheck and Big Thinkin’ by Dallas Wayne. Fulks tours yearlong with various configurations.